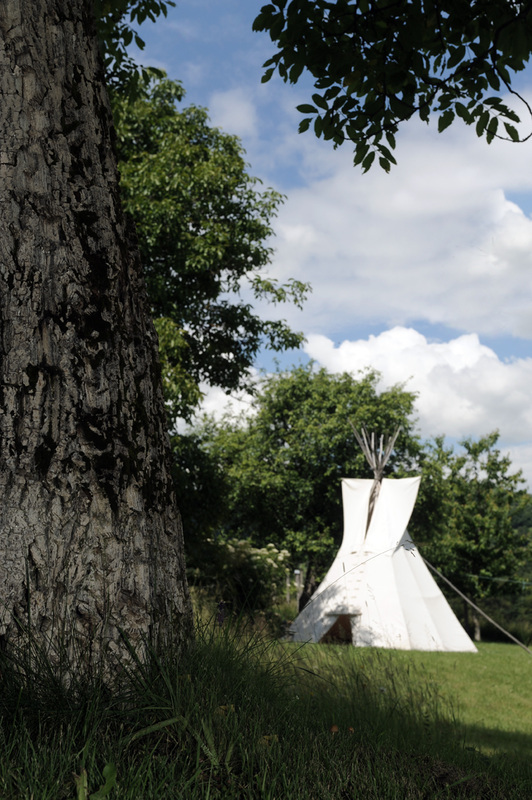 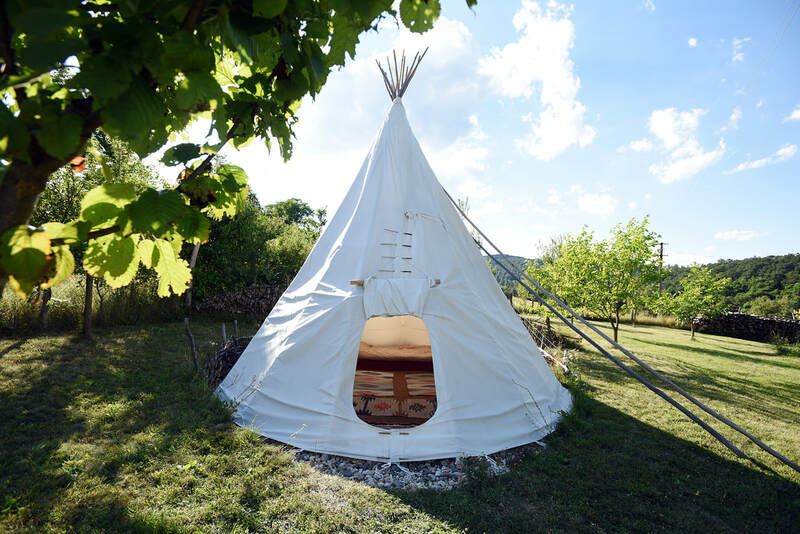 Nestled either side of a giant walnut tree our tipi's are ideal for the adventurous soul or those simply seeking to get away and relax. 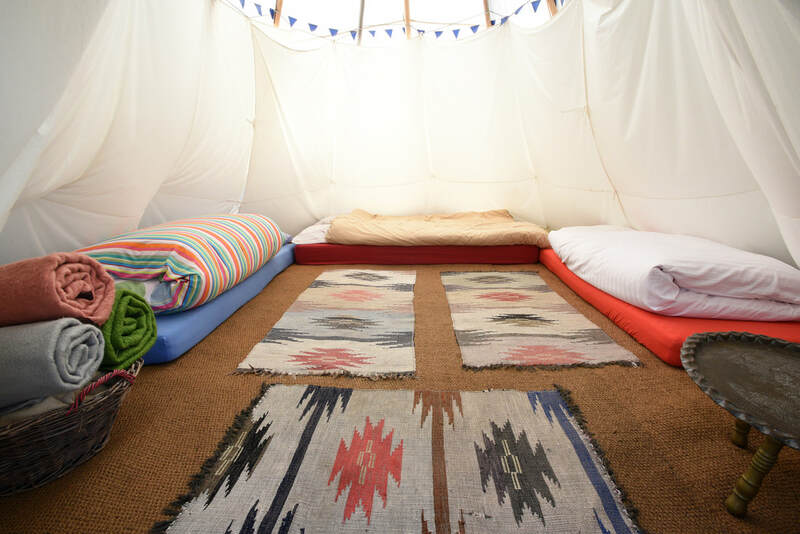 Sit by the open fire and listen to the night owls as they hunt for their prey. Snuggle up under a warm feather down duvet and gaze at the stars. 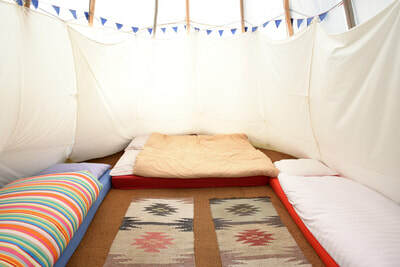 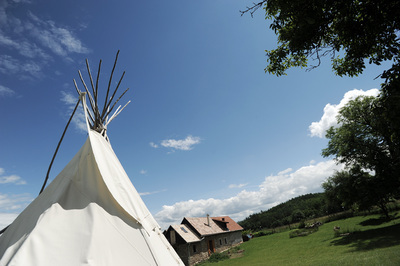 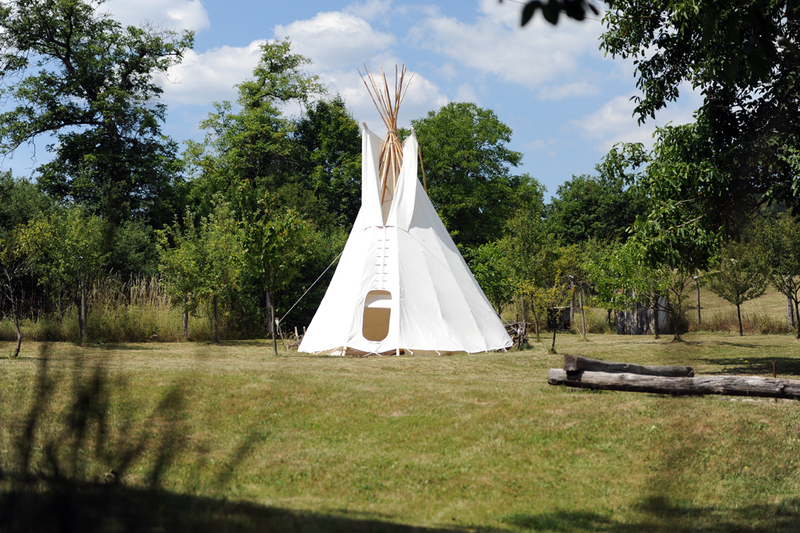 Each tipi sleeps a family of 4 to 5 comfortably. 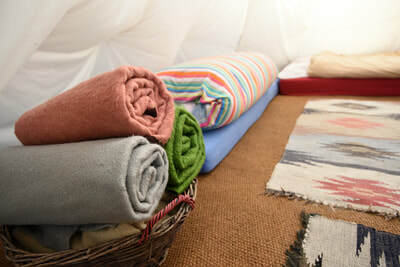 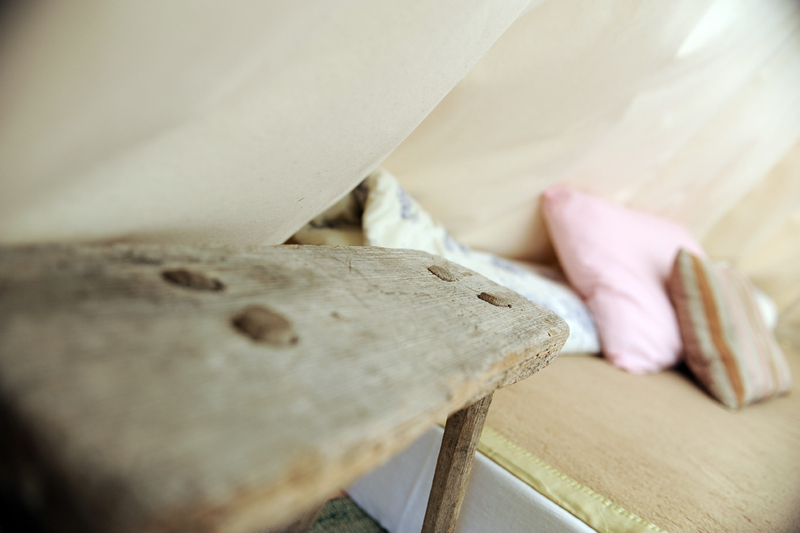 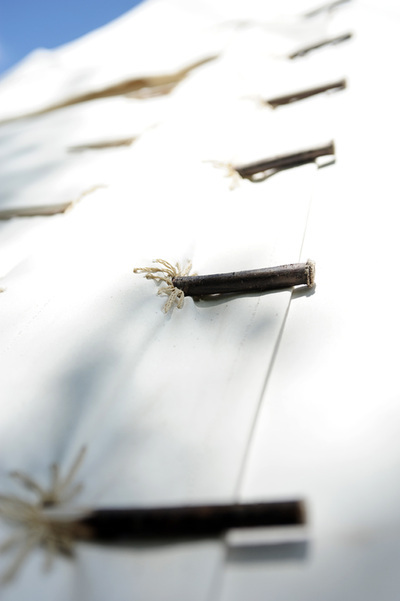 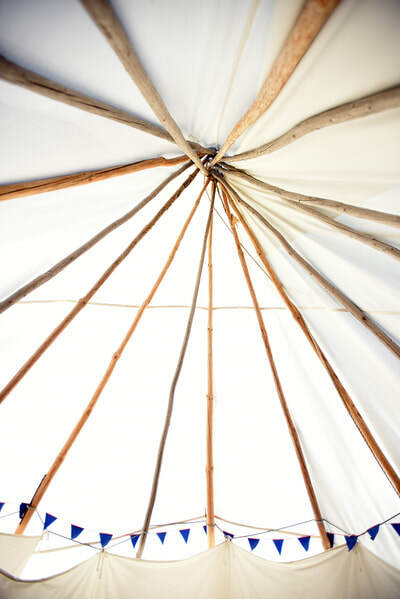 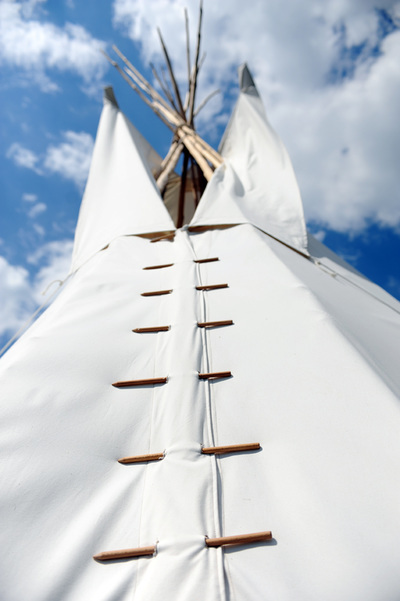 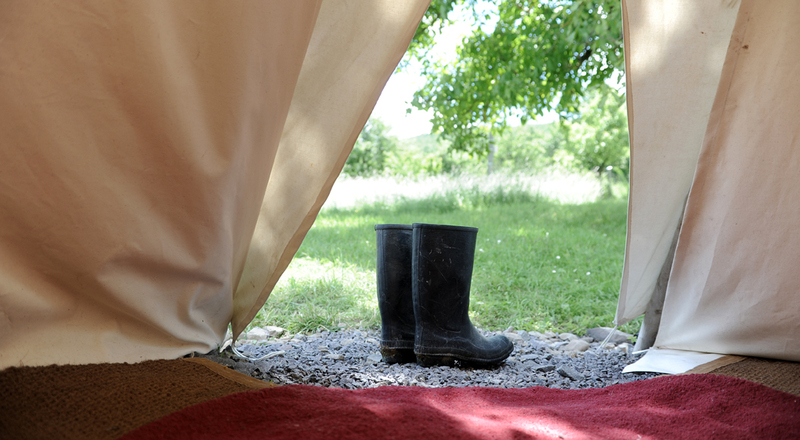 The inner lining inside the tipi's provides extra warmth during any cooler nights. On the occasional rainy day the tipi is fitted with a rain hat that keeps everything dry inside.